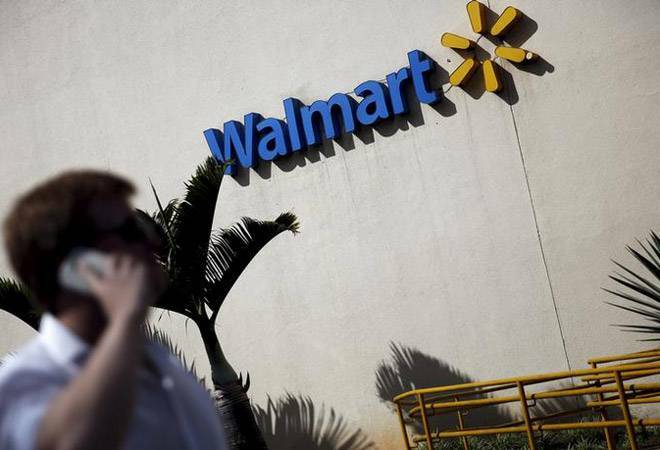 Retail giant Wal-Mart Stores Inc might join hands with Flipkart to get an edge in online retail market. The US-based retail giant is reportedly in advanced talks to acquire significant minority stakes in the Indian e-commerce market leader. The talks could take final shape in March, said a report by The Economic Times quoting two individuals familiar with the development. This deal could see primary and secondary sales from longstanding investors, the report said. 1. According to the report, Walmart CEO Doug McMillon recently visited the Bengaluru headquarters of Flipkart to further the deal. He was accompanied by Walmart e-commerce CEO Marc Lore, who founded online marketplace Jet.com that was later acquired by Walmart, and Walmart chief operating officer Judith McKenna, who will become the president and CEO of Walmart International on February 1. 2. If a deal happens, Walmart will be gunning for 15-20 per cent stake in Flipkart, the report further said. However, both companies declined to comment on this matter. Walmart said that its chief executive and other head honchos were in India to review its cash and carry business, global technology and global sourcing units in India. 3. While Flipkart has been dominating e-commerce sector in India, Walmart is the biggest retailer in the world, with its presence in both offline and online channels. This reported deal could help both companies to pool their resources to compete against Amazon in both online and offline retail channels. 4. Walmart has been vying for a bigger footprint in e-commerce market, whereas Flipkart has been engaged in toe-to-toe competition against Amazon India locally. The reports of a deal between the two companies surfaced around September last year when Walmart acquired Jet.com for a better hold on e-commerce market. 5. Flipkart has recently rebooted its grocery arm, Supermart, which would benefit from a tie up with Walmart. The deal will allow the Indian online marketplace to access the price model of Jet.com, which lowers prices as consumer goes on adding to the shopping cart, in turn, attracting more buyers.